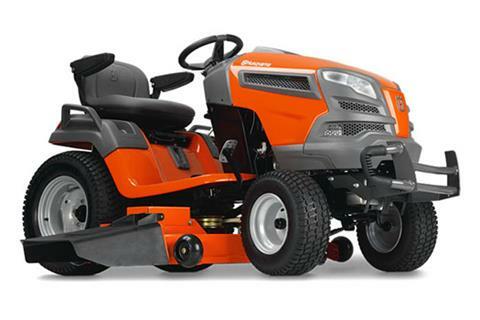 STAND OUT WITH A HUSQVARNA RIDING LAWN MOWER. The XLSi tractors features a revolutionary electronic operator interface with real time feedback, more intuitive operation, integrated headlights and "key-less" security for the most convenient and cutting-edge mowing experience. 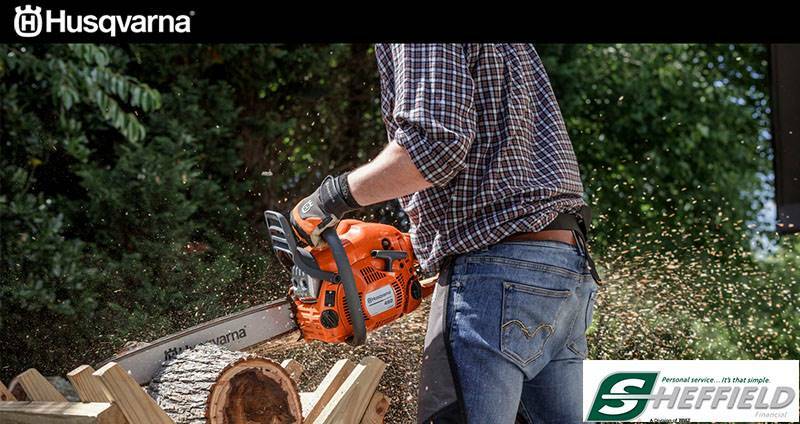 The SmartSwitch™ system is coupled with exclusive automatic choke equipped Husqvarna Endurance engines, to allow for simple one touch starting. Additional features like a fabricated cutting deck, integrated washout port, optional mulch kit and new whiter, brighter LED headlights makes these tractors the top choice for demanding and extensive use. DURABLE CUTTING DECK: The heavy-duty fabricated cutting deck features twin sheets of 11 gauge steel for added support for spindles and increased overall strength. SMARTSWITCH™: SmartSwitch offers convenience and security of key-less operation, real time feedback through indicator lamps for parking brake, battery status, headlights, ROS and blade engagement as well as simplified one touch starting and stopping. ROBUST STEEL CHASSIS: Built on a robust steel chassis, ensuring maximum durability and sturdiness. ENDURANCE V-TWIN ENGINE: Powered by Briggs and Stratton, this engine features premium air filtration, chrome plated valves, super finished bearing surfaces, and an oversized cooling fan for extreme durability and superior performance. ELECTRIC BLADE ENGAGEMENT: Easy engagement of cutting blades; simply pull the switch on the control panel. CHOKELESS START: Easy to get operating with automatic choke. Just turn the key and go. DUAL DRAGLINKS: Give tighter turning radius and improved maneuverability. REVERSE OPERATING SYSTEM (ROS): For improved safety. The ROS disengages the cutting blades when driving in reverse. SAFETY SWITCH UNDER SEAT: The tractor is equipped with a safety switch under the seat. If the driver leaves the seat the engine and cutting deck are automatically switched off. ERGONOMIC DESIGN: Provides a comfortable driver's position with easy-to-reach levers and controls. The wide step-through, adjustable 15 in. high back seat with arm rests and comfortable grip steering wheel provide first-class ergonomics. STEP-THROUGH: Ensures comfortable and easy mounting and dismounting. ARMRESTS: Seat with armrests for more comfort while mowing. HEAVY-DUTY SPINDLE: The rugged blade spindle assembly features cast aluminum construction and greasable tapered bearings. EASY-ACCESS FUEL CAP: Refueling doesn’t require engine hood to be opened. ANTI-SCALP WHEELS: The cutting deck is equipped with anti-scalp wheels, which reduce the risk of scalping when cutting uneven lawns. CUP HOLDER: Cup holder for refreshments while mowing. BRUSHGUARD: Tough, rugged looking brushguard protects the hood of the tractor. BATTERY INDICATOR WITH CHARGER CONNECTION: Gives clear indication on battery status, which makes it easy to see when charging is needed. The charger connection is placed next to the indicator, for extra convenient recharging of the battery.